Sunshine and Blue Skies…! That is enough said about my weather. Be assured Tamarie…you and the other three travelers will long be remembered for being such examples of people who actively care! Jim (James) Johnson, husband of Aunt Katherine Johnson passed away last week. You will recall Mahershala Ali, two-time Academy Award winner, played the role of LTC Jim Johnson in the movie Hidden Figures. Jim was a man of great integrity, a perfect role model for the younger generation, and a wonderful husband to Katherine and step father to her daughters. He was a special friend to all of us. I believe part of the success of “Hidden Figures” can be attributed to the near perfect way Mahershala Ali captured the heart and soul in his portrayal of Jim Johnson. As such, on the big screen the world became familiar with Aunt Katherine, and the world also became acquainted with Jim. A special congratulations to the Delta Sigma Theta Sorority for its 106 years of history. The local Columbia Basin Alumnae Chapter did an outstanding job hosting this year’s Pacific Northwest Founders Day celebration. The local chapter has actively supported “Friends of Copey” with donations for scholarships for several years. We are proud to have them include us as one of the Sorority’s international projects. Wishing the Delta’s another 106 years of continued success. New Volunteer Teachers Go To Work! I spoke via Skype with both current volunteers who are busy at the Copey Learning Center. I am typically impressed with the dedication and commitment such volunteers bring to Copey. These two volunteers are also impressive. 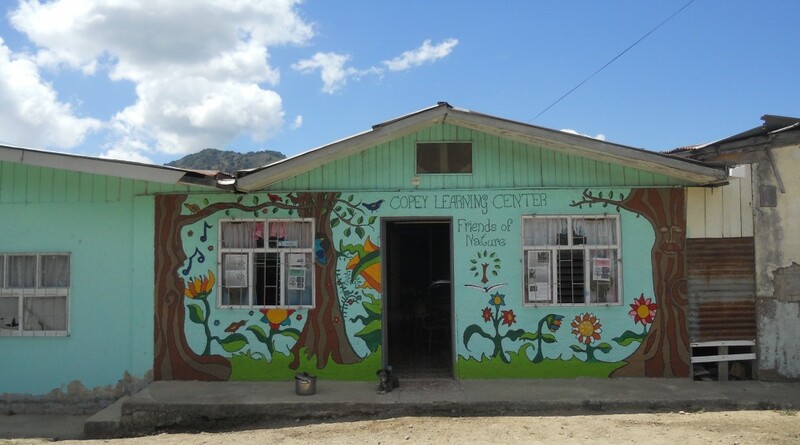 “Friends of Copey” officially welcomes both Lizeth and Bob to the Copey Learning Center. I have requested information from both volunteers and plan to share some of their service background with you soon. These volunteers are just special people. I have full respect for those who spend time in an unfamiliar place for the single purpose of helping others…making a difference. And, these volunteers are sharing part of their knowledge, expertise, and experience with others in similar fashion to sharing a drink of water or a portion of your meal with someone in need. Well Wishes and Speedy Recovery! Andrea Serrano Cortés, The Copey Learning Center’s Director, is scheduled to undergo surgery today in San Jose, Costa Rica. According to my information, she is having painful gall stones removed. We wish her well and a soon return to the business at the Center. Ana Yancy will hold things together during Andrea’s absence. Sad to read about Mr. Johnson but always happy to know of someone who made such a difference in the lives of others. I’m thinking of everyone involved with Copey Learning Center. Thanks for all you do, Scrapper. I was thinking of the many quotes and special sayings I began my teaching days with not so long ago, “Good, Better, Best, Never let it rest, until Good is Better and Better is Best. You certainly live up to those words. Happy spring season everyone.